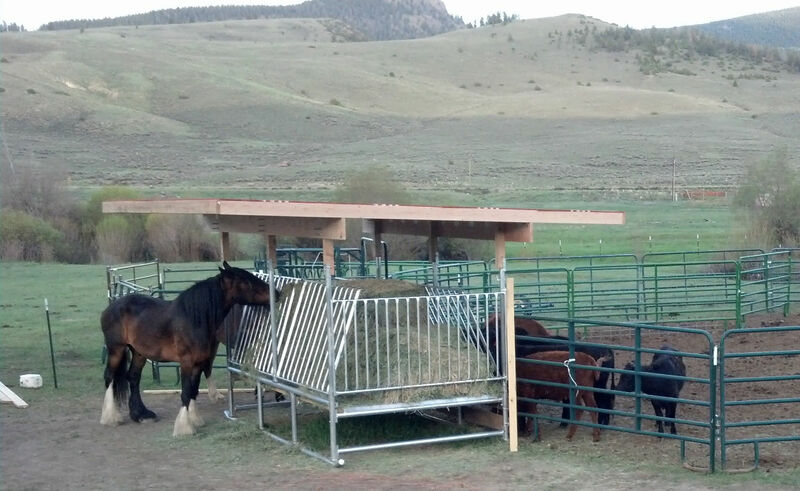 12 foot long “Hay Saver” hay feeder for horses. Fits multiple small hay bales, two large round hay bales or one large square hay bale. All feeders shown with optional roof.